Delicious Fudge Recipes. The Best Recipes For Fudge You Will Ever Need. I just simply love delicious homemade fudge. Here is a very easy fudge recipe that everyone is sure to enjoy and if you'll follow the recipe carefully anyone can make a delicious homemade fudge with this easy fudge recipe. If your going to be making things like fudge your going to need a good quality heavy duty non stick pot to cook your fudge in and your going to need a heavy duty candy thermometer. You can purchase both at your local supermarket or the nearest Wal-Mart. For Your Easy Fudge Recipe You Will Need. 1. One Cup Half And Half Cream. 2. Two Ounces Unsweetened Chocolate Chopped Fine. 3. Two Cups White Granulated Sugar. You will want to start off by combining your cream and your sugar and cook over moderate heat until it is very hot and then at this point stir in your chocolate. You want to stir constantly with a wooden spoon and be sure to stir up from the bottom of the pot. You will want to stir constantly and at this point in time be sure to keep a close eye on the temperature of your boiling ingredients. You will want to get to the soft boil stage which is 238 degrees. Remove from the heat and stir in your butter. Yes use real butter not margarine. Your fudge will be getting thicker now and keep stirring. I like to line a 9 inch cake pan with parchment paper and pour my fudge out into the 9 inch round cake pan being sure to use the wooden spoon to scrape all my fudge out into the cake pan. Set your fudge to the side and when it cools to room temperature you can take a knife and cut it out in diamond shapes. Keep in mind this fudge is very rich so you will want to be sure to cut it in small pieces. I remember as a small child in the mountains of Western North Carolina I remember my family going to Lake Lure and Chimney Rock and the one thing that always caught my eye was the fudge shops. I remember we were always getting out of the car and walking around to the different little shops and I would quickly drag my Mom into the Fudge Shop with three carved wooden bears in front of it. Its still there today and its the Three Bears Fudge Shop. I remember we would walk up to the counter in the fudge shop and a big man dressed in white and a big white chefs hat would offer us samples of the various fudges the little shop produced. We would always get to taste the chocolate, the peanut butter, and the rocky road but my Mom would always buy two pounds of the chocolate fudge and the man behind the counter would always put in a small square of peanut butter and a small square of rocky road to finish out the space in the the white box. The fudge box would go into a plastic box that was always brought for it and then it would go in the ice chest in the trunk of the car. The fudge went home with us and into the top drawer in the refrigerator. Over the next couple of weeks we would get small pieces of the fudge after dinner or before bed as a snack and before long it was gone until we would make another trip to the mountains six months or a year later and long after I knew there was no more fudge in that drawer I would crave it and want more. And I made myself a promise that one day I would learn how to make fudge and have it as often as I liked. A lot of people are afraid to take on making fudge but they shouldn't be. If you will take a recipe like the fudge recipes on this page and follow them carefully you can quite easily make delicious fudge. Once you make your fudge please be sure to post a comment below. I truly hope that there is delicious homemade fudge in your future. Here's a very easy recipe for candy cane fudge that everyone is sure to enjoy. I just had to include this recipe for candy cane fudge here with all the other delicious fudge recipes. For your candy cane fudge recipe you will need. 1. Two Twelve Ounce Packages Vanilla Morsels. 2. One Fourteen Oz. Can Sweetened Condensed Milk. 3. One Level Teaspoon Peppermint Extract. 4. One And One Half Cups Crushed Candy Canes. Line a 8" X 8" X 2" deep baking pan with tinfoil and use butter to grease the tinfoil very well. Now combine your vanilla morsels and the sweetened condensed milk in a saucepan over medium heat. Heat until all your vanilla morsels are melted and use a wooden spoon to beat it smooth. Now remove from heat and stir the remainder of your ingredients into your vanilla morsel mixture. Stir with the wooden spoon until all your ingredients are mixed together well. Pour out into your greased prepared pan and refrigerate at least two hours before you cut into small size pieces for serving. You can if you wish use 24 ounces of the white bakers chocolate to make this fudge with, This is the white bakers chocolate that you would usually use to dip Oreo cookies in or etc. And everyone keeps asking for a recipe for microwave fudge so here is one of the best recipes for microwave fudge that I have ever tasted. 1. One 16 - 18 Ounce Package Semi Sweet Chocolate Morsels. 2. One 14 Ounce Can Sweetened Condensed Milk. 3. Two Teaspoons Vanilla Extract. Put your chocolate morsels and the sweetened condensed milk into a microwave safe bowl and microwave on high until the morsels are melted. Stir in your vanilla extract and the nuts if you want nuts in your fudge and prepare a 8" X 8" X 2" deep baking pan by lining it with tinfoil and butter the tinfoil very well. Pour your fudge mixture out into the baking pan and refrigerate for two hours before you cut the fudge out in very small pieces and eat and enjoy. Here is a very easy peanut butter fudge recipe that anyone should be able to make. This is probably the easiest fudge recipe you will ever see. If your looking for a real simple fudge recipe then this should work for you. You will need a microwave and a large microwave safe bowl to cook your fudge in. I add course ground pecans into this fudge but you can leave the pecans out if you wish. Though you should give it a try both ways. For Your Simple Fudge Recipe You Will Need. 1. One Fourteen Ounce Can Sweetened Condensed Milk. 2. One Fourth Cup Course Ground Pecans. 3. Twelve Ounces Unsweetened Bakers Chocolate. 4. One Teaspoon Vanilla Extract. Chop your bakers chocolate up very fine with a knife. Put your ingredients into a large microwave safe bowl that you have sprayed the inside with vegetable cooking spray. Mix up your ingredients in the microwave safe bowl and then microwave on high until the chocolate melts. Spray a 8 " X 8 " baking pan with vegetable cooking spray and when your ingredients are melted in the microwave safe bowl stir them together well and pour the ingredients out into the prepared pan and put in the refrigerator covered for at least two hours. After two hours you can cut your fudge up into small pieces and serve. This makes a very rich delicious flavor and I love it with the pecans in it. I also like it made with English Walnuts and Black Walnuts. If I make this fudge with either walnut I add a teaspoon of walnut flavoring instead of vanilla. You can make a very delicious Butter Finger Fudge Recipe by making the above recipe and chopping one fourth cup of butter finger candy bar up into very fine pieces in your food processor. Add your fine chopped Butter Finger Pieces instead of the pecans and you'll have a tasty treat you won't soon forget. Make your fudge by making the recipe above and to it add one fourth cup of fine chopped English Walnuts and One fourth cup of miniature marshmallows to the melted chocolate and sweetened condensed milk just after you take it out of the microwave. I guarantee you people will really love these delicious fudge recipes and you can make a wide variety of various flavors of fudge and make a big tray of it to serve and enjoy. You can really chop up fine almost any chocolate candy bar and add it to your fudge for a delicious tasty treat. I hope you will enjoy the various fudge recipes and I hope you have fudge in your future very soon. 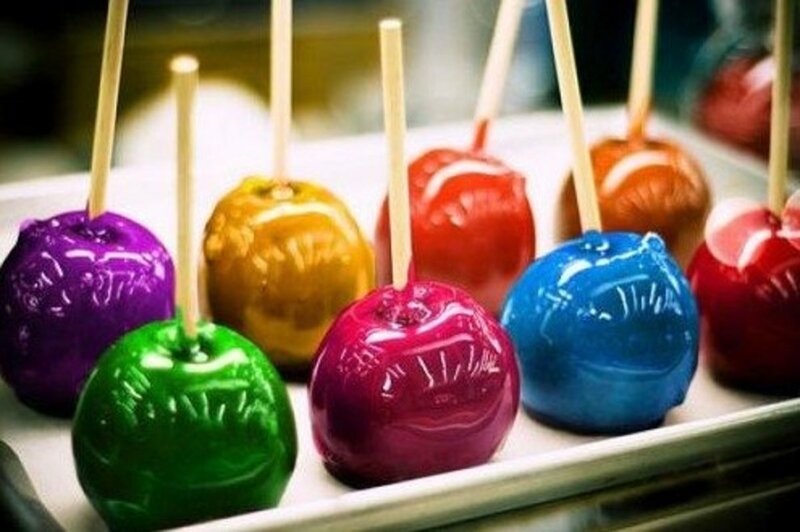 You can experiment and come up with your own fudge flavors. Please post a comment and let us all know what you come up with. This is a easy to make peanut butter fudge recipe that anyone should be able to make. You will need a 13" X 9 " baking pan , parchment paper, You will want to start by spraying your 13" X 9" pan with vegetable cooking spray and then line your baking pan with a piece of parchment paper cut to fit the bottom. This way you will easily be able to get your fudge out of the pan and the clean up will be easy. Some people try to claim that fudge made from marshmallow cream is not the same as cooking it the more traditional way but I have done several taste tests over the years and people will pick the peanut butter fudge made from the marshmallow cream almost 2 - 1 over the harder more traditional method. And I don't think you will ever get the creamy flavor the traditional way the way you will with the marshmallow cream. Try it and see what you think. 1. One And Two Thirds Cup Jiff Smooth Peanut Butter. 2. Two Thirds Cup Evaporated Milk. 3. One Seven Ounce Jar Marshmallow Cream. 5. One Teaspoon Vanilla Extract. 6. One Half Cup Butter. You will want a heavy duty non stick pot and you will want to spray it on the inside heavily with vegetable cooking spray before you get started. Get started by combining your sugar, butter, and milk in a large non stick sauce pan and cook until it comes to a boil. Now you will want to reduce the heat to a simmer and stir constantly with a wooden spoon being sure to stir and scrape from the bottom of the pan. Add the rest of your ingredients and stir everything in well. Now is the time to add the salted peanuts if you are going to. Be sure to beat them into the fudge well. But you don't have to use the salted peanuts if you don't want to. Some people love the peanut butter fudge with the salted peanuts and some people don't. Pour your peanut butter fudge out into prepared baking pan and let it cool to room temperature before you cut out into small pieces. You don't have to store cooked fudge in the refrigerator but you do want to store it tightly covered and not keep it over two weeks. I think that peanut butter fudge has to be made out of Jiff Peanut Butter but you can decide for yourself. Some people like to use smooth peanut butter while others use crunchy peanut butter. If you make the peanut butter fudge please post a comment and let me know what you think. Thomas Byers aka Crazyhorsesghost has been writing at Hub Pages for over four years and he has been an award winning Chef for over thirty years. Here is a easy chocolate fudge recipe that everyone can make and enjoy. This is one of the easiest to make fudge recipes you'll ever make and its absolutely delicious. This is the chocolate fudge recipe with the marshmallow creme. So if your looking for the chocolate fudge recipe with the marshmallow creme here it is. For This Chocolate Fudge Recipe You Will Need. 1. One Half Cup Finely Chopped English Walnuts. 2. One Teaspoon Vanilla Extract. 3. Two Thirds Cup Evaporated Milk. 4. One Seven Ounce Jar Marshmallow Cream. 5. Two Cups Semi Sweet Chocolate Chips. 7. Two And One Half Cups White Granulated Sugar. You will want to start by lining a 13" X 9" pan with aluminum foil so that it extends over the edge of the pan. Butter the side of the foil very well where it will touch your fudge. In a large non stick sauce pan combine your butter, milk, and sugar and heat the mixture to a boil stirring constantly until you bring it to a boil. Time it after it comes to a boil for five minutes and then remove it from the heat. Stir in the remainder of your ingredients and stir together very well to make sure all your ingredients are very well mixed together. Pour into your foil lined buttered pan and let it cool to room temperature before you place it in the refrigerator for 4 hours. After it has been in the refrigerator for four hours you can then easily cut it out into 36 even pieces. If your looking for the recipe for Peanut Butter Fudge with out the marshmallow creme then you're in the right place. Because this is a very easy recipe for peanut butter fudge and it contains no marshmallow creme. 1. Two Cups White Granulated Sugar. 2. One Cup Whole Milk. 3, One Level Teaspoon Sea Salt. 4. Two Tablespoons Real Butter. 6. Three Fourths Of A Cup Of Smooth Or Crunchy Peanut Butter. You will want to get started by boiling your sugar, milk, and salt for 10 minutes and then stir in your butter. You will want to boil your mixture until it reaches 238 degrees on a candy thermometer. This is also called the softball stage. Then you remove it from the heat. Beat in your peanut butter and your vanilla flavoring and pour out into a well greased 8" X 8" baking pan. Use butter to grease your pan very well with. This fudge will harden very quickly. Put it in the refrigerator for two hours and then cut out in small pieces as this fudge is very rich. And there for those of you wanting a recipe for peanut butter fudge with out the marshmallow creme there it is. Just be sure to follow the recipe carefully and use a candy thermometer. 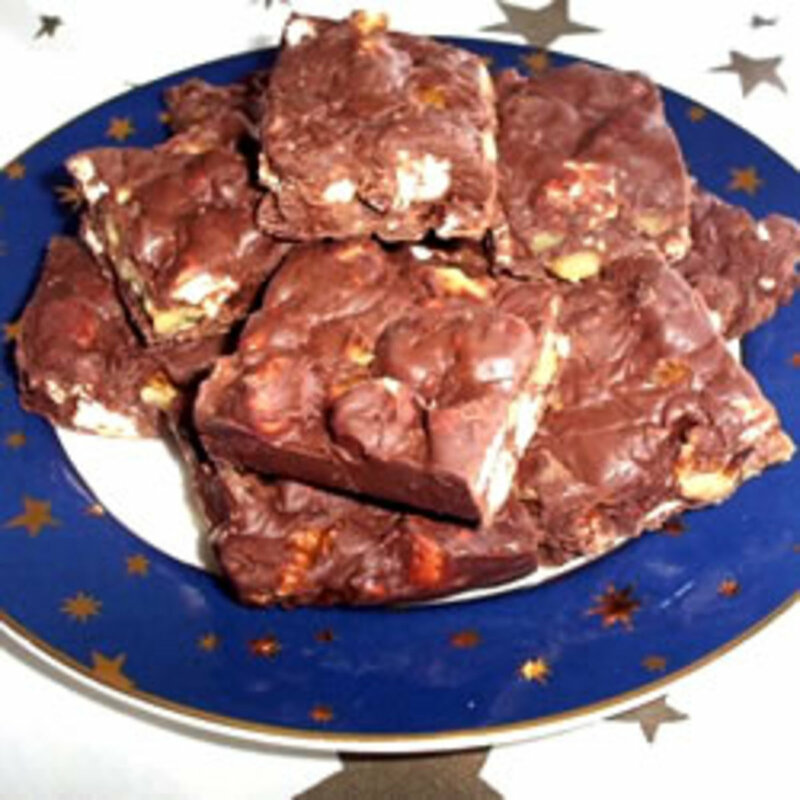 While there may be a place for low fat or fat free fudge its not in the recipes on this page. When my recipes call for milk I mean whole milk. When I say butter I mean butter not margarine. I know people will tell you there is no difference between imitation vanilla flavoring and real vanilla flavoring but I say there is. I have been cooking and baking as a Chef and Executive Chef for over thirty years and I have used both imitation and real vanilla flavoring and I say the real vanilla flavoring is the best. And the last thing is if you are going to be making fudge and other candy you need a candy thermometer. Most fudge recipes will call for cooking your fudge to 238 degrees which is the soft ball stage. If you try to make fudge with out a candy thermometer you will overcook your fudge and it will not turn out right. You Can Flavor Your Fudge How You Want It. 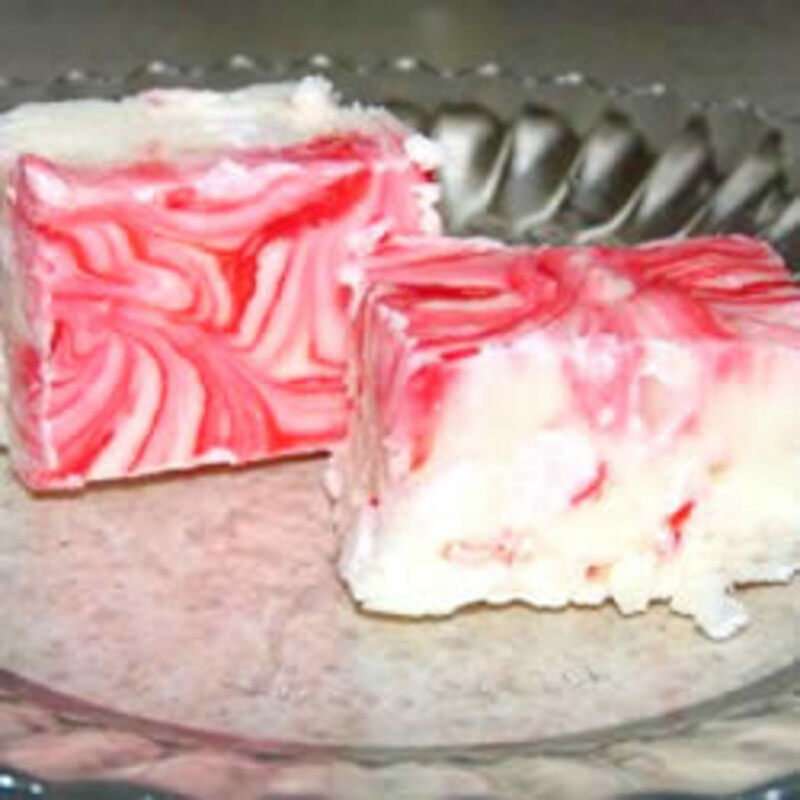 Lets say its near Christmas time and you want peppermint candy cane fudge. You would add peppermint extract and crushed candy canes to your basic vanilla fudge for delicious candy cane fudge. You can make a delicious fudge called orange blossom fudge by making the recipe above for Candy Cane Fudge and instead of peppermint extract and crushed candy canes you would use four tablespoons of candied orange peel and two teaspoons of orange extract. I guarantee you the fudge made this way is oh so delicious. Give it a try to see what you think. I can just as quickly make fudge with out marshmallow creme as I can make it with the marshmallow creme and most people will find it much easier to make fudge with marshmallow creme. If made correctly no one can tell if it was made with marshmallow creme or with out. If you follow the directions exactly for a marshmallow creme fudge you can not tell it was made with marshmallow creme. Where people mess up is telling people tasting it that it was made with marshmallow creme. If you don't tell the people tasting it I guarantee you they can not tell. So go make your marshmallow creme fudge and enjoy it. Please Post Your Comments About Fudge Now. And Thanks For Reading My Hub Page On Fudge. These look like some great recipes for fudge. Thanks for sharing!! Gonna bookmark this Hub. Peanut Butter Fudge is oh so wonderful. Now I'm craving fudge -- Peanut butter fudge!! Jeannieinabottle thanks for your comment. And all the recipes for fudge here are oh so delicious. Thanks for the comment and I added the recipe for peanut butter fudge with out the marshmallow creme. It is a wonderful recipe also. 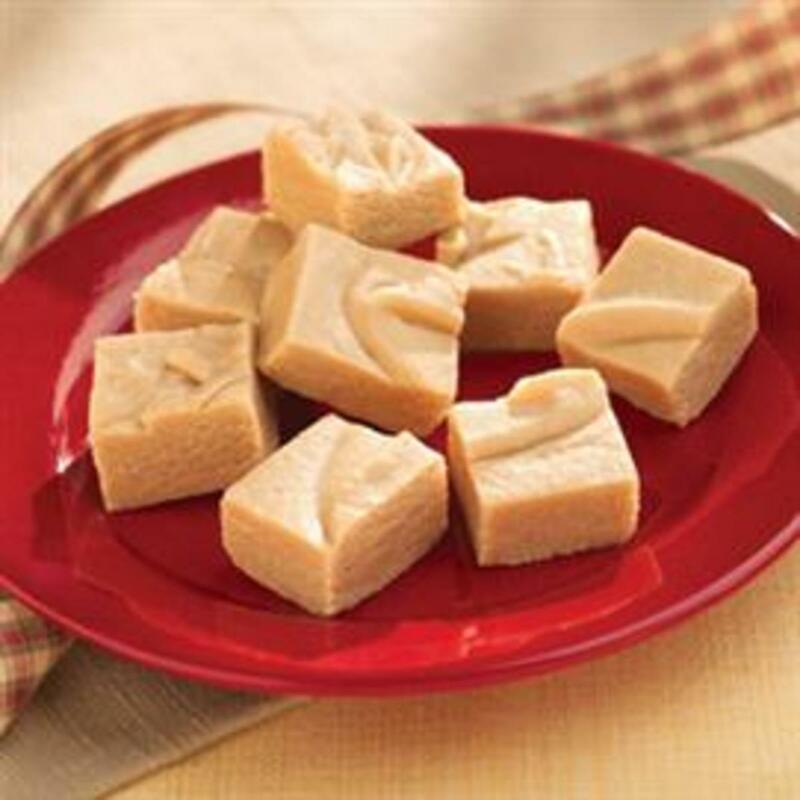 Fudge is oh so wonderful and the recipes for fudge on this page are easy to make. Thanks for the great comments. I am going to bookmark this hub. I love fudge! I also like recipes that are easy, so this hub features two of my favorite things. Thanks for sharing! I have trouble with milk chocolate, if is dark chocolate, I can eat it. I am insulin resistant so I have to be careful. I always fail at Christmas time though - lol. I did really well at Halloween this year, so maybe cheating at Christmas will be okay. I can ask my sister for her recipe if you want, let me know. Thanks for the great comments. I've never had sour cream fudge. I'll have to check that out. Fudge is one of the best things ever. YUM! Though I am not a big fudge eater, these look good. My sister makes sour cream fudge, which I love. 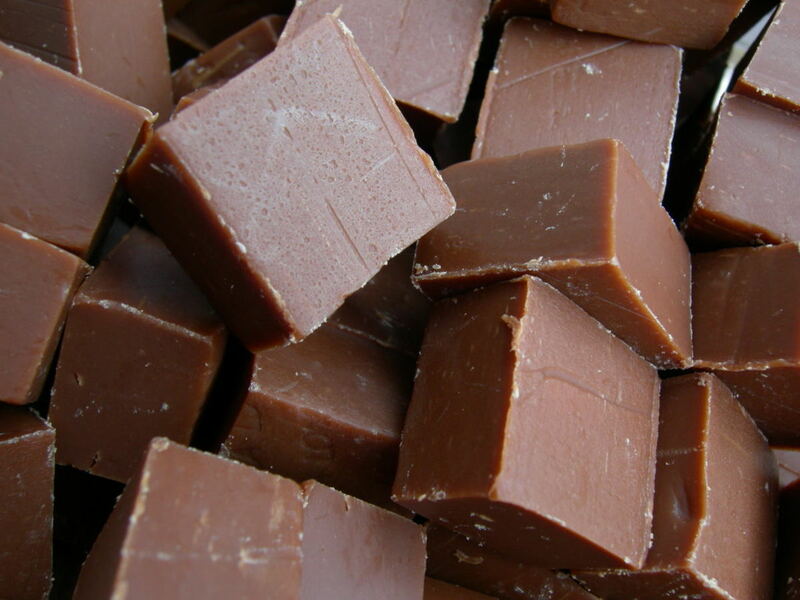 This is an awesome recipe for making simple and easy fudge. I also shared this one for you too! Keep the wonderful recipes coming, and I do look forward to reading more! I love fudge! It's a holiday tradition in my family around Thanksgiving and Christmas. 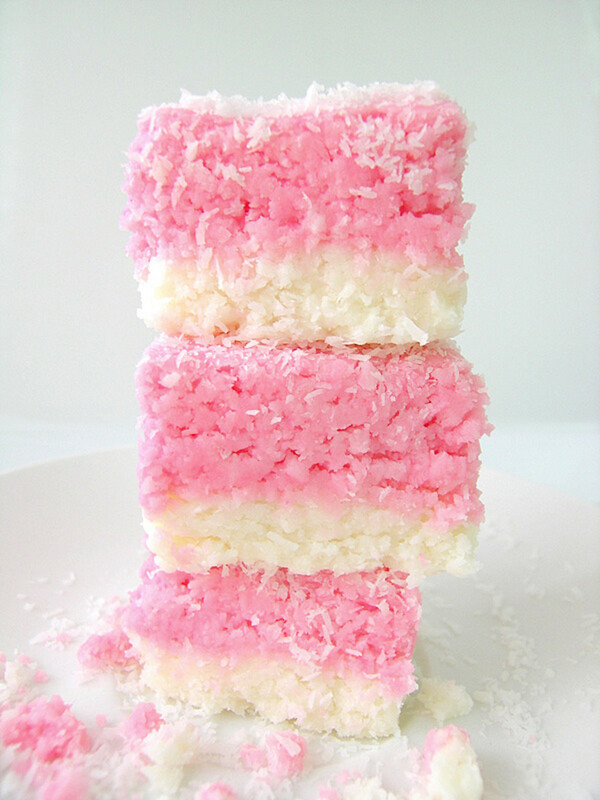 We use marshmallow creme in ours, and it is amazing! I'll have to give this peanut butter fudge recipe a try.